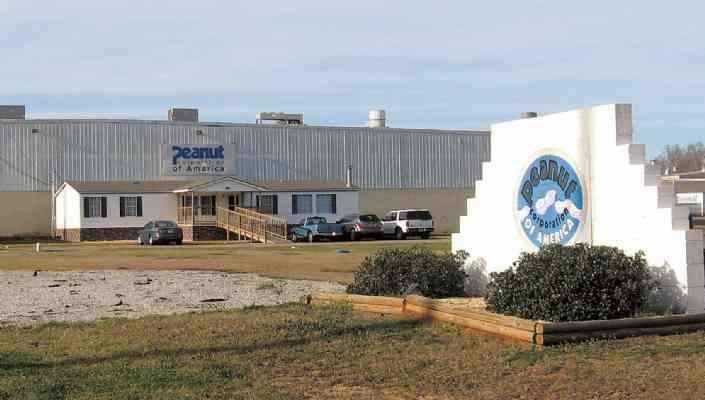 The Peanut Corp. of America plant is located in Blakely, Ga. Investigators have looked into peanut companies in Georgia to find out how the sudden outbreak of salmonella in peanut butter products came about. ATLANTA - Food regulators didn't consider salmonella a threat to most peanut products before they traced an outbreak to a peanut butter plant in Georgia two years ago. Officials in the nation's top peanut-producing state promptly began checking for the bacteria during routine inspections, and everything went fine for about a year. Then in January, investigators zeroed in on another Georgia plant while probing a second bout of salmonella that began in the fall and has sickened about 500 people in 43 states, and may have contributed to at least eight deaths. As health officials scramble to limit the effects of the latest outbreak, food safety advocates have renewed calls for increased testing at peanut processing plants. It's a costly and time-consuming proposition for an inspection process that already suffers from a lack of manpower and transparency, and from uncertainty over how much testing is enough. Jif maker J.M. Smucker Co., Skippy manufacturer Unilever and makers of Peter Pan, ConAgra Foods Inc., all said they have stringent food safety and quality control standards. But neither Unilever nor ConAgra responded to questions about how often the plants test their finished product for foodborne illnesses or other contamination. Smucker's said it couldn't answer those questions for proprietary reasons. None of those manufacturers, however, is implicated in the current salmonella outbreak. In January, a facility in Blakely, a rural Georgia town that calls itself the "Peanut Capital of the World" and is an hour or so drive from the ConAgra plant, found itself at the center of the investigation into the deadly salmonella outbreak. Virginia-based Peanut Corp. of America, which owns the Blakely plant, distributes peanut butter to institutions such as hospitals and nursing homes. It also provides peanut paste to food companies, which use the product in cookies, cakes and other products available on supermarket shelves. Last week, federal officials said Peanut Corp. failed to tell inspectors that after samples sent to a contract lab for testing in 2007 and 2008 tested positive for salmonella, the company got a second opinion from another lab and sold the food after the secondary tests came back negative. "We have shared with them every record that they have asked for that is in our possession and we will continue to do so," the release stated.